and changing the damage that has been done. preserve access channels in your community. introduced to Congress by Wisconsin Congresswomen Tammy Baldwin. viability of existing PEG Access Channels. For a list of your U.S. Representatives Click Here! Chic Canfora, survivor of the May 4, 1970 massacre at Kent State University, speaks about the corporate ownership of Congress and urges students to mobilize for affordable health care and education and to stand in solidarity with the underprivileged people of the world! FreedomJournal.Tv was pleased to be able to assist Amy Goodman of Democracy Now with a recent show focusing on the May 4, 1970 shootings at Kent State. Four Kent State Students were shot and killed by the National Guard during a protest against the Vietnam War. Amy Goodman interviewed Alan Canfora (one of the nine students who were shot by National Guardsmen) and his sister Chic Canfora ( who was an eyewitness of the May 4, 1970 shootings). 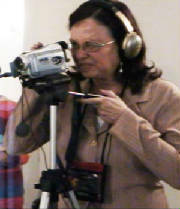 FreedomJournal.Tv videotaped the interviews while Chic Canfora escorted Amy Goodman around the campus. FreedomJournal.Tv has partnered with several organizations in regard to the recent Supreme Court decision that extended Constitutional Rights to corporations. Petitions are being circulated online to ammend the decision. FREE bumper stickers are available. For full details on the movement to impeach the Supreme Court click on the above text. View some excellent videos on corporate personhood. FreedomJournal.Tv once again is proud to be a supporter of the ANSWER protest against the wars in Iraq and Afganistan. There will be a protest in DC on March 20, 2010. Organizers have buses coming from across the nation. In additional, countless local rallies are planned across the nation. For full details visit answer/pephost.org. Time Warner cable channel 15 in Wadsworth and Warren; also on Time Warner cable channel 9 in Youngstown. DVD's of the entire event are available for $15(including shipping). Following Joe Wilson's recent outburst in Congress, Former President Jimmy Carter recently said that there is a racist attutide in Congress against President Barack Obama. Perkins Communications of Youngstown Ohio has successfully restored PEG(public access Tv programming) to Time Warner Cable subscribers in Trumbull county(Warren, Niles and surrounding areas) on channel 15 and Mahoning county(Youngstown) on channel 9. Visit onlineptv.com for program guide. Residents of Trumbull and Mahoning counties can submit programming. Visit onlineptv.com for submission details. FreedomJournal.Tv is pleased to announce that we have partnered once again with the ACLU of Cleveland 's Brown Bag Series. This summer series of presentations is available on Time Warner cable's public access channel 15 in Youngstown, channel 9 in Trumbull county(Warren/Niles area), at onlineptv.com. Mighty phone and cable companies have controlled Internet policy in Washington for years. They set up astroturf groups and launch deceptive "consumer" Web sites to fool politicians and the media into thinking that everyday people support their harmful policy positions. It's time to set the record straight. Free Press has pulled together the SavetheInternet.com Coalition, which now represents more than 800 groups, from the Christian Coalition to MoveOn.org and the SEIU to the American Library Association. More than 1.5 million activists -- from all walks of life and across the political spectrum -- have signed our petition in support of Net Neutrality. Help us pull back the curtain on astroturf and tell people the truth about Net Neutrality. We need everyone -- including the media and members of Congress -- to learn about these phony front groups. You can forward the widget to your friends, and we've made it easy to post it on your own Web site or blog. As a result of SB 117, Ohio's video franchising agreement, Time Warner cable is no longer required to provide PEG programming once the local franchise agreements expire. Time Warner stopped accepting all programming from the public in Akron, Canton, Youngstown and surrounding communities. PEG programming will continue in Wadsworth, Macedonia, Hudson and other communities that control their own PEG channels. to contact their city council representatives and inform them of the importance of public programming. The Federal Government says "PEG programming is essential to our communities as an outlet for free speech, local information and opinions and emergency communications." Congressional hearings were held 9/17/08 to "help policymakers gain knowledge of what is necessary to protect this important programming". As a result of state video franchise agreements, public access programming is in jeopardy in several states. ABC news recently featured a story on public access tv in peril. FreedomJournal.Tv has spearheaded a federal lawsuit challenging local cable tv owners as well as the City of Akron to keep the cable tv network free for local producers. They have forced producers off the air who cannot afford their fee to play their shows so we have to raise money for the lawsuit that benefits both producers and the general viewing public! We were denied the right to a jury trial in this case. The Federal lawsuit against Time Warner and the City of Akron was dismissed by a summary judgement in August 2007. We filed for a rehearing but that request was denied. Instructions to see video: Click on movie link. When new page opens click on Windows Media link on far left. Box will open to allow you to download and view the files. Across the state of Ohio cities(including Dayton, Hudson, Cleveland,, Cincinnatti and Akron) passed resolutions against SB117. Representatives from city councils and school boards across the state traveled to Columbus to testify in opposition to SB117. In Texas, where similar legislation was passed, cable rates have increased. Tennessee recently decided that a similar bill was not good for the people of Tennessee. in campaign contributions from AT&T and Time Warner. Please help FreedomJournal.Tv stay on the air! 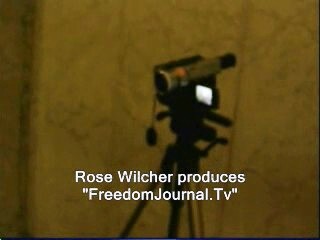 Contact Rose @freedomjournal.tv to purchase videos from our extensive archives. Sponsor a video of your interest group and to be shown on public access cable tv in northeastern Ohio. FreedomJournal.Tv is 100% viewer supported. We depend on viewers like you to keep us on the air. Support FreedomJournal.Tv and buy AVON here! Now you can support FreedomJournal.TV by purchasing AVON directly from Rose Wilcher!